The Atmos Kiln Kit is a pocket-sized pen vaporizer that is designed for use exclusively with essential oils and waxy concentrates. 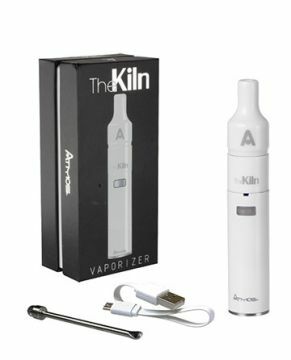 The Kiln pen vaporizer is powered by a compact lithium ion battery that features a spring-loaded 510 threading that provides a reliable connection and a capacity of 950mAh, which should be enough to get hours of use in between each charge as vaporizing oils and concentrates requires very little power. 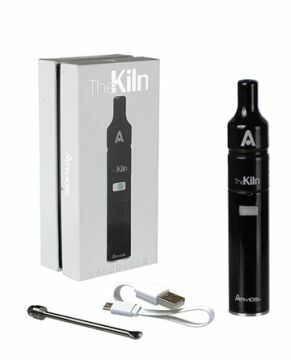 The Kiln cartridge utilizes a pure ceramic chamber and heating disc to evenly vaporize concentrates and oils with the utmost efficiency, creating a thick vapor that is packed with flavor. 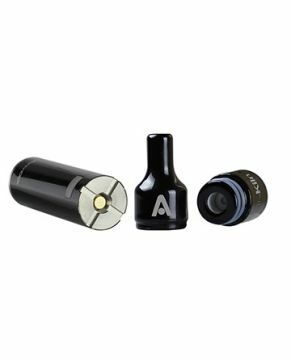 This kit comes equipped with everything you need to start vaping right out of the box, AtmosRX even includes a small hand tool to make loading your waxy materials as simple and mess-free as possible.